The AORSM was published annually over the nineteen year period from 1937 to 1955 inclusive, with the exception of the period of WW2, where the years 1940 and 1941 were combined into a single volume, and none were published between 1942 and 1945. 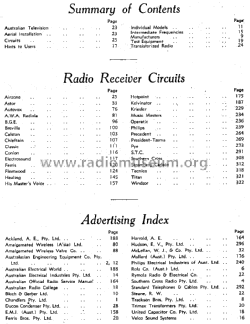 During this wartime period, Australia's radio factories were either closed for the duration, or manufacturing various types of military gear. 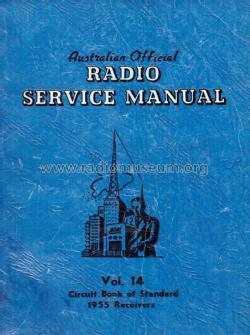 First published in 1938 (covering 1937 radios) by The Strand Press Pty. Ltd., Brisbane. 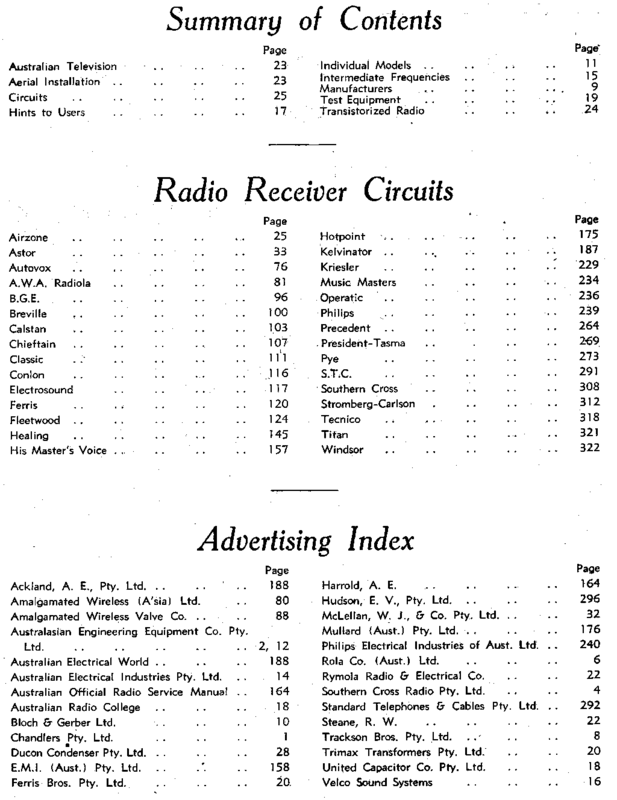 There were 14 volumes covering circuits and service information for domestic radio sets made by the local Australian manufacturers. Approximately, 320 pages and costing from 12/6 for the 1938 edition up to 24/- for the 1955 edition. This entry is a placeholder only. The complete listing of diagrams is shown in the Schematic Finder. Click here for the 527 models documented in this literature, i.a.